Milk chocolate, peanut and peanut butter are the stalwart M&M's flavors, but soon there will be a new option vying for your taste buds' attention. 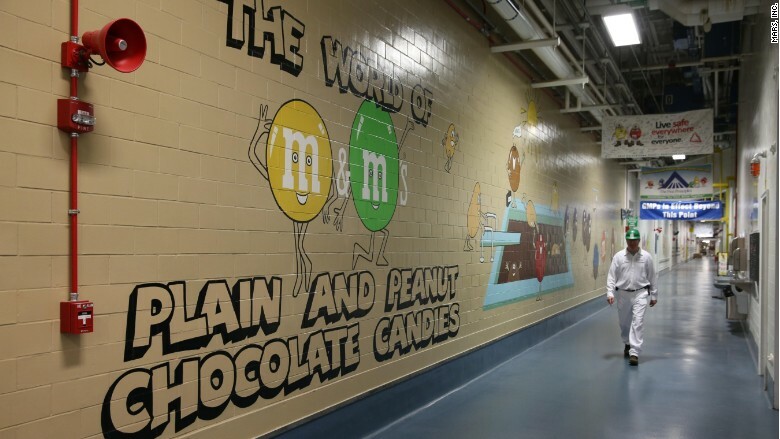 For the first time in the 75-year history of the brand, the candy company is embracing a caramel filling that will become a permanent member of the M&M family. Called M&M's Caramel, each bite-sized "lentil" of the candy has a soft caramel center covered in milk chocolate. 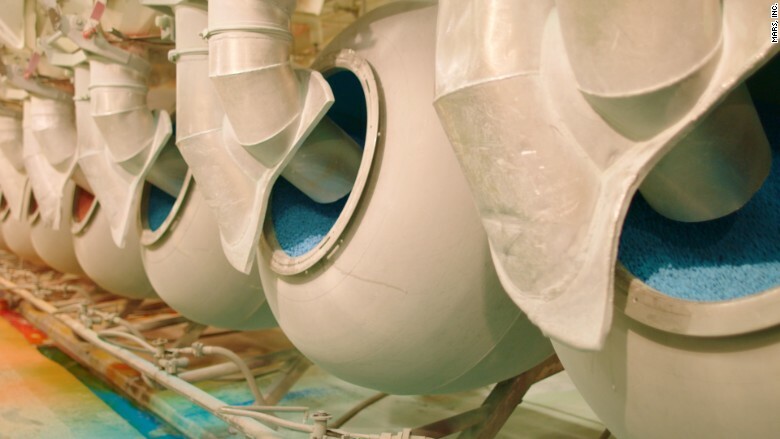 Of course, it will be coated in a crunchy colorful shell, too. With caramel, M&M is introducing its fourth category for the candy: Soft and chewy. Others include crispy (pretzel), smooth (milk and dark chocolate) and nutty (peanut). The new M&M's Caramel will be available in May 2017. Related: Ben and Jerry's new split: Hillary or Bernie? The company often experiments with flavors -- such as mint and chili nut -- but not fillings. It's calling the caramel addition one of the biggest launches in the brand's history. The new M&M's will have a soft and chewy caramel center. Hank Izzo, vice president of research and development of parent company Mars Chocolate, said the brand regularly plays around with size, shape, color and texture. But caramel was especially of interest to the company in recent years. "Caramel is extremely trendy," he said. "It's a $2.2 billion flavor segment and the fastest growing segment in food right now. We want to be part of this category." M&M's were initially developed during World War II. The chocolate candies worked well as a snack for soldiers in the field because "they would melt in the mouth and not in the hand," as its slogan says. Its circular shape and configurations have since made it an easy template for innovation. The caramel-filled M&M's, which are a bit larger in size than the regular milk chocolate candies, was an massive -- and expensive -- effort that took a few years to develop. "It was a big technological challenge for us," said Izzo. "We never before had a M&M lentil with a true soft center, so we had to figure out how to not make the chocolate too sticky or too soft that it could collapse. 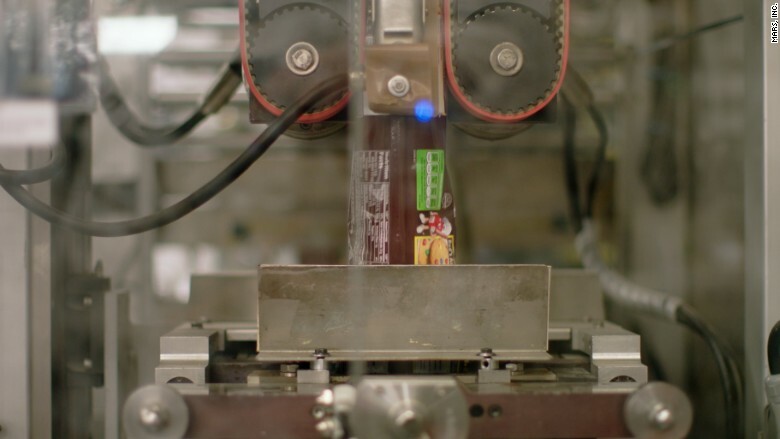 Izzo's team worked with engineers and product development scientists to design and develop machinery to fill the M&M's with caramel. The candymaker also invested about $100 million to build a new manufacturing site in Topeka, Kansas. It plans to hire 70 employees to run the operation. While this news will surely be cheered by candy fans, don't get too excited yet. 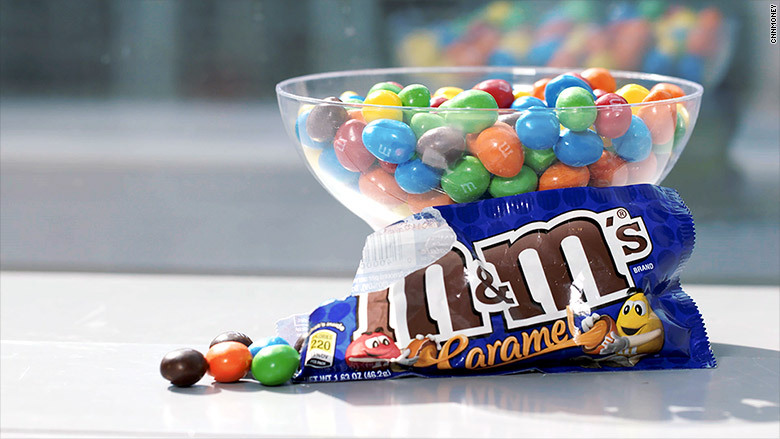 Caramel M&M's won't hit the market until May, 2017.